Many times while shopping for yourself or your pet, you may run into metal cans that have been damaged. They may have dents where they have been dropped in the store or during the shipping process. Is it still safe to eat the food that is in those cans? The answer is sometimes "yes" and sometimes "no." How Do Cans Get Dented? The metal used to make cans is usually aluminum which is also what is used to make aluminum foil wrap. The metal is very strong but pliable, making it great for sealed storage but also not too hard to open. But because of its pliable properties (think about all the ways you can use aluminum foil!) it can also easily dent when dropped. Dented cans can happen anywhere during the process from the factory, to shipping, to the store where you purchase your canned goods. Any time the can or cans are dropped or face pressure, they become susceptible to dents. It inevitably happens. The last can of that ingredient you need is slightly dented. The store manager indicates that they are not expecting any more until next week. 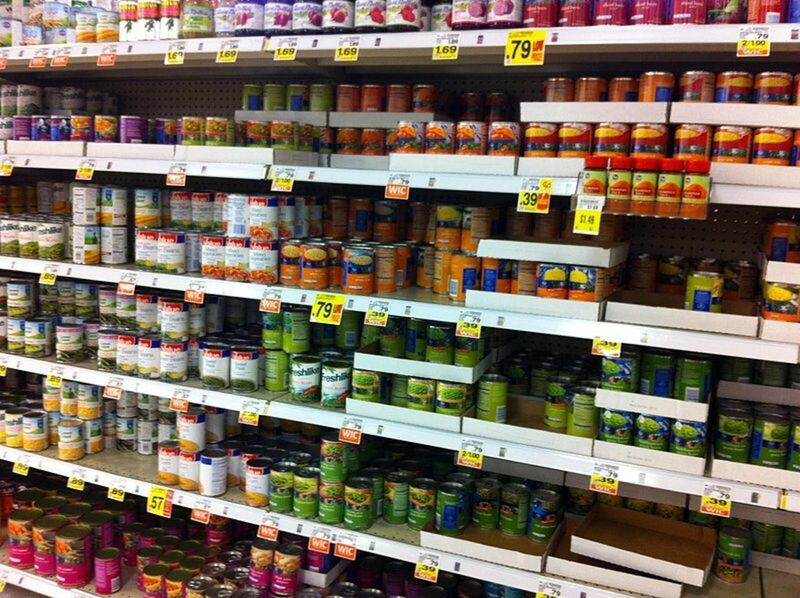 Is it safe to buy the dented can or should you go look for your ingredient somewhere else? If the can is only slightly dented, such as the damage that might occur if it was dropped by another shopper, you are probably safe to consider purchasing it. Visibly check the can for any signs of food leakage, any rust or visible holes. If any of these are evident then alert the store manager to the issue. Once you get the can home, you can be sure there are no leaks by immersing the can under water and watching for any air bubbles or food leakage. Finally, you will want to examine the food once you open the can. Does it smell and look like you expected? Is there anything suspicious? Remember that if you have any doubts about a food product, it is safer to throw it out rather than consume it. What If A Can is Bulging? If you find a can in the store or in your pantry that is has imperfections or bulges, do not consume that product. 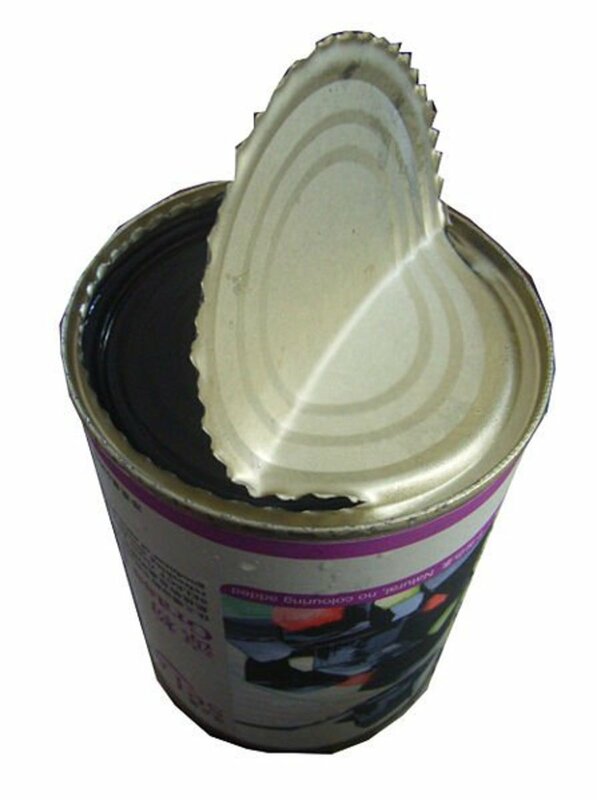 Bulges in a can are an indication of bacteria within the food product. The can should be discarded or returned to the store as it was likely produced in a non-sterile environment and is not safe to consume. Would you consider buying a dented can? Yes, if it was the only one left. Yes, If it is discounted. Yes, If it is not badly dented. Maybe, Depends on the product. No, I would never buy a dented can. The reason that cans bulge when food is bad is that the bacteria, a living organism, reproduces within the sealed container. As the bacteria multiply, they release gasses which eventually build up pressure in the can causing the pliable aluminum to bulge out from lack of space. Heat is one way that canneries kill bacteria during the canning process.If this process is not done properly then the food may become contaminated. The same problem can occur in home canning as well, allowing enough pressure to build up to break the lid seal and sometimes pop the lid off. Sometimes cat and dog food cans may also become dented. The same rules apply to pet food as to other canned foods designed for people. Check for holes or punctures in the can and any leaks. When you open the food make sure it looks like it normally does. Pet food can sometimes be harder to examine since the meat product is often a bit smelly to the human nose (but smells yummy to your pet). If you are in doubt, if you see leaks or bulges, do not feed the food to your pets. 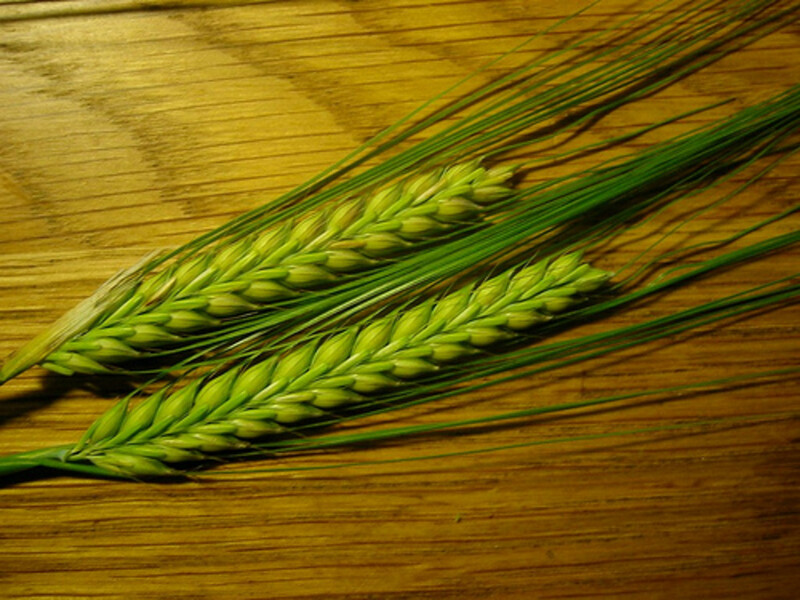 Animals can also get sick from contaminated and rotten food and it is best not to take the chance. If you find a dented can in your regular grocery store, it may be worth it to talk to a customer service representative or manager and see if they will offer you a percentage off on the damaged can. Many times customers, with good reason, will avoid dented cans so they may be glad to get it off of their hands. There are also salvage stores who may sell slightly (or very) dented cans at a reduced price. These grocers have a special license to sell damaged or out of date food and often check the products themselves before selling them. These stores also offer opportunities to stock up on damaged items or grocery items that are close to expiration. If you know what you are looking for, you can spend just pennies on the dollar for groceries your family regularly uses. To find a salvage grocer in your area, simply open a google search box and search for "salvage grocer" and your city and state. If you have any doubts about the canned product, then skip purchasing it or return it to the store, Always remember to check for other issues such as expiration dates as well as any damage. 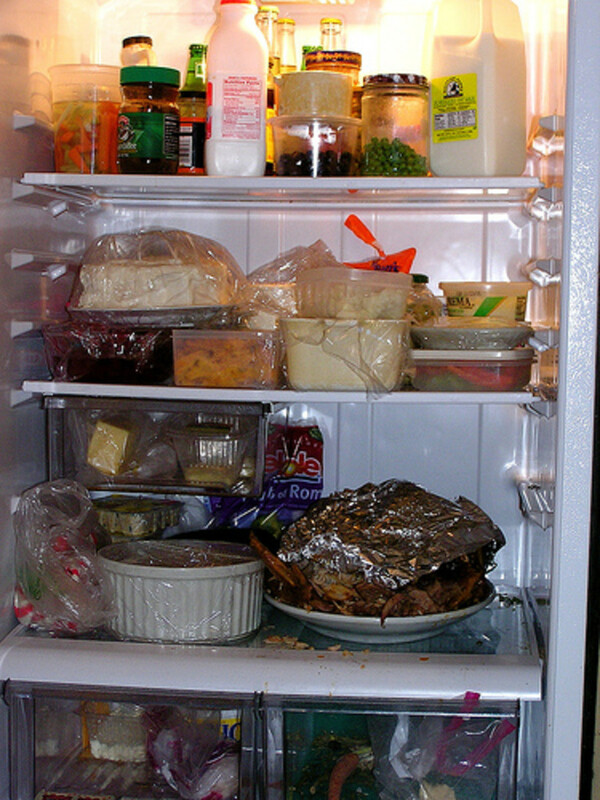 As long as the damage is cosmetic and there are no leaks, the food is most likely safe to consume. RV Food Storage Basics: Store Your Foods Smart and Eat Well! Domino's - Gluten Free Pizza - NOT!!! This was a very interesting hub. Most grocery stores have a bin/or special section for damaged goods at a discount. I've never bought them personally, not in fear of them being bad, but just didn't want to sort through the different cans. Thumbs up on your hub LCDWriter. This is really an interesting and informative hub! I have wondered about this many times. I always put the dented can back when I see there is a dent and if it is the last one of its kind, I usually just leave it. But, your suggestions are good ones. Thanks for sharing with us. I've wondered if dented cans are safe to eat. Now I know. I'm pinning this to my Things You Really Need to Know board. Another great tip DzyMsLizzy! If I have any doubt I just toss it and get a new can or an alternative. Better safe than sorry. Food poisoning is no fun. Excellent points! Well done article. I had that happen to me recently--I was opening a can of mandarin orange segments, and when the can opener punctured the lid, liquid spurted about 2 feet across the room! Into the trash it went!